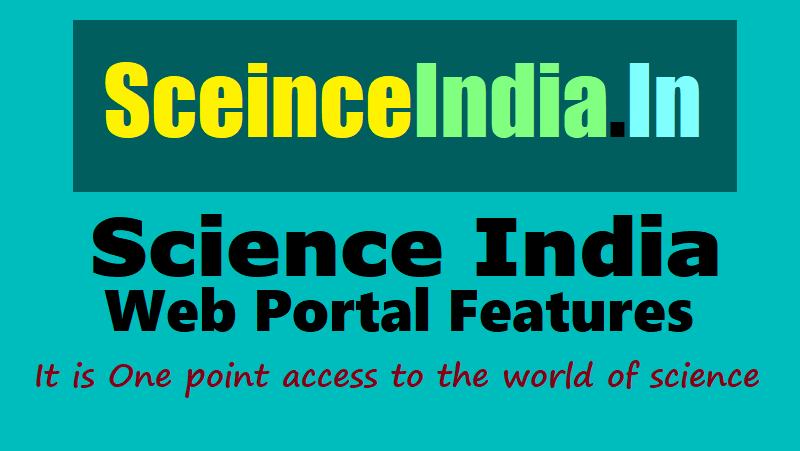 Science India Portal is One point access to the world of science: Introduction Science Education is the most prime tool for the development of any nation. The alarmingly decreasing number of students opting science as career and the lack of right guidance to the young generation prompted VIBHA (Vijnana Bharati) to take an initiative for a Virtual Science Portal for the Indian Students. The portal, www.sciencelndia.in is a virtual science world which would motivate and inspire students to experiment and take science as an interesting career option. One of the main aims of the portal is to provide every student with a mentor. Every student can choose their mentor from the galaxy of experts consisting of eminent Scientists, Academicians, Research Scholars, Civil servants, Technocrats and Social leaders. Objectives To create a new generation of students who will mould our nation to the needs of 1.3 billion people of India. Scienceindia.in will nurture the students across the world with . . Participation of a large number of selected science students from all over the country having aptitude and great interest in science will be a major attraction of the portal. Students having similar interest can form open or private groups based on different subjects, issues, topics etc. to instantly share related information such as images, article links or videos. A discussion board where innovative ideas of the students will be discussed, nurtured and mentored under the moderation of eminent science faculty and scientists. Here students can upload their ideas, concepts, prototype models, sketches etc. and it will be discussed and addressed by mentors and subject experts. In "Science Every Week", students can write to us regarding practical scientific solution for any problems, challenges or issues published in news papers and magazines in that particular week. Students can upload the newspaper cutting or the web link directly to the portal. A separate section will display science related blogs from students. Name and photograph of the student will be displayed along with their blogs and awards will be given to best blog on a regular basis. Conclusion: Scienceindia.in will trigger curiosity of the students towards science and ignite their creativity and talents. This virtual world will connect the Indian student community with thousands of researchers, Ph.D Scholars and young scientists, who will hand¬hold them and mentor towards right career path.